The official Brazilian currency since 1994 is the Brazilian real (plural reais, sign R$, code BRL). The first official currency of Brazil was the real. As the currency of the Portuguese empire, it was in use in Brazil from the earliest days of the colonial period, and remained in use until 1942, when it was replaced by the cruzeiro. The name real was resurrected in 1994 for the new currency unit (but with the new plural form reais). The name comes from the Portuguese word real (in the sense of "royal") and was borrowed from a Portuguese currency previously used in Brazil. In 1967, Brazil introduced the cruzeiro novo (the word "novo", "new" in Portuguese, only appearing on the provisional issue of banknotes), with 1 cruzeiro novo equal to 1000 "old" cruzeiros. It had the ISO 4217 code BRB. In 1986, the country switched to the cruzado, worth 1000 cruzeiros (novos). The cruzado was the currency of Brazil from 1986 to 1989. It replaced the second cruzeiro (at first called the "cruzeiro novo") in 1986, at a rate of 1 cruzado = 1000 cruzeiros (novos) and was replaced in 1989 by the cruzado novo at a rate of 1000 cruzados = 1 cruzado novo. The Cruzado Novo was the short-lived currency of Brazil between 15 January 1989 and 15 March 1990. It replaced the cruzado in the rate of 1000 cruzados = 1 cruzado novo. It had the symbol NCz$ and the ISO 4217 code BRN. In 1990, the cruzado novo was renamed the (third) cruzeiro. The cruzeiro was the currency of Brazil from 1942 to 1986 (two distinct currencies) and again between 1990 and 1993. In 1994 it was replaced with the real. The cruzeiro real (plural: cruzeiros reais) was the short-lived currency of Brazil between August 1, 1993 and June 30, 1994. This unit was used only for accounting purposes. The currency had the ISO 4217 code BRR. The cruzeiro real was replaced with the current Brazilian real as part of the Plano Real. The real is the present-day currency of Brazil. It was introduced in 1994, when it replaced the old currency, the cruzeiro real, as part of the Plano Real, a substantial monetary reform package that aimed to put an end to three decades of rampant inflation. Its sign is R$ and its ISO code is BRL. It is divided into 100 centavos ("Cents"). Thomas De La Rue & Company, Limited, London. President Juscelino Kubitschek de Oliveira; electric power station and roads; Justice by Alfredo Ceschiatti. Palace of Dawn. 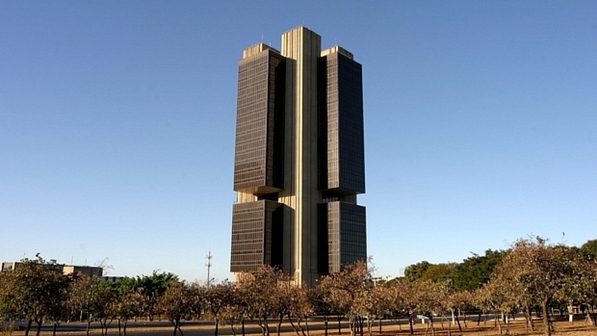 The official residence of the President of Brazil.